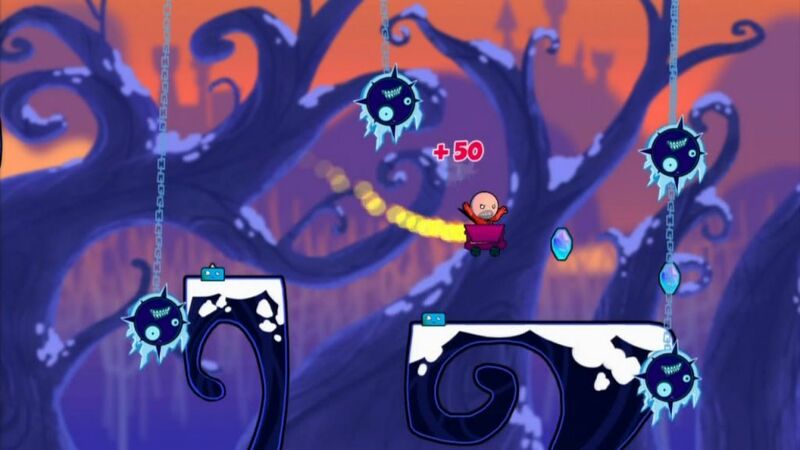 Cloudberry Kingdom can best be described as a precision platformer that is actually accessible to most gamers. The sub-genre has thrived over the past few years, but has done so at the expense of player sanity. 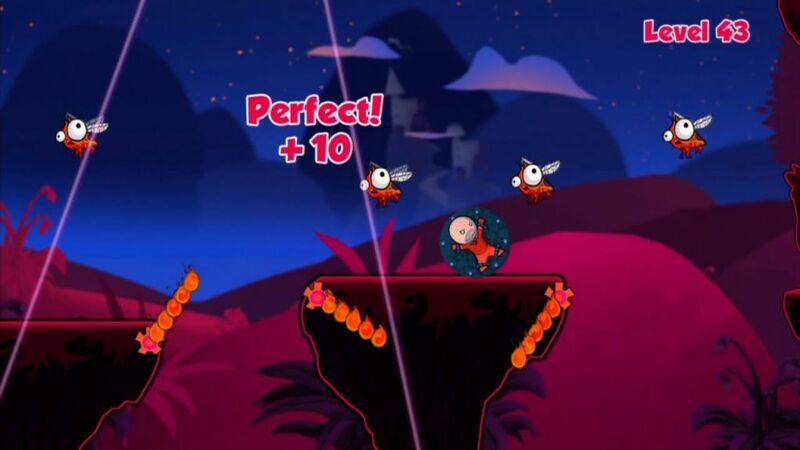 CK changes things up quite a bit by using procedurally-generated levels to ensure that the game never gets old. 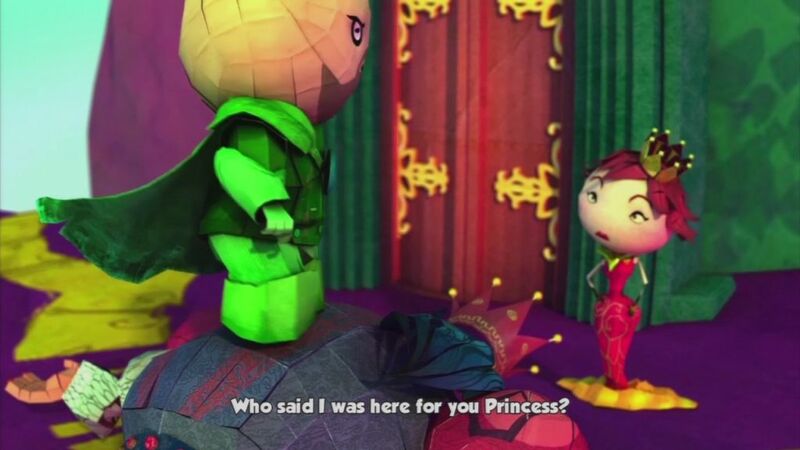 There are a few modes to mix things up, with the story mode telling a basic “save the princess” story starring Bob and a princess. There’s an arcade mode that gives you more freedom to experiment with modes like a time-limited mode, while freeplay lets you customize pretty much everything you could imagine. 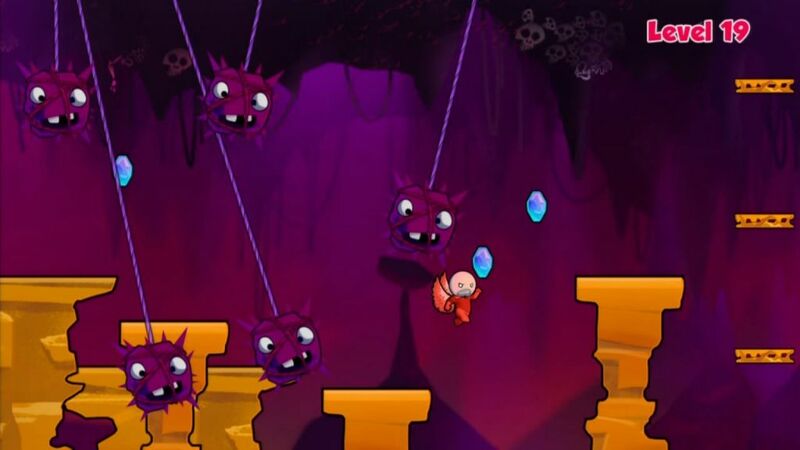 The core game is platforming bliss and eases you into more difficult mechanics slowly, but doesn’t hold your hand. You never feel like you’re in over your head in the story mode since it’s got a gradual increase in challenge that feels fair and never cheap. 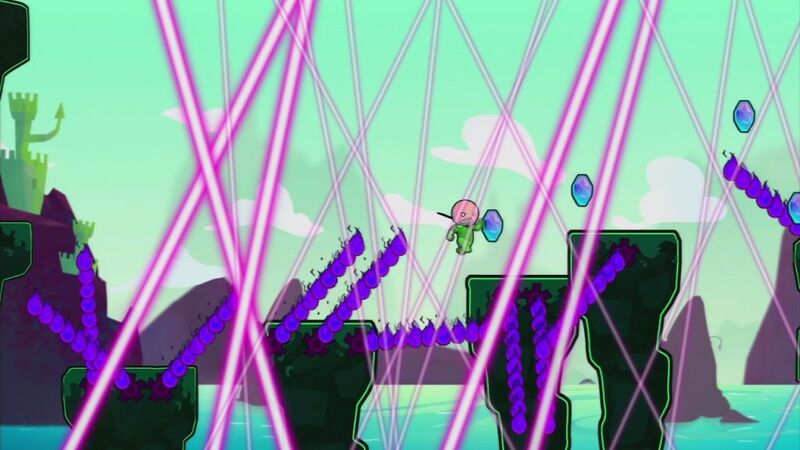 You’ll start with a basic single jump, then move onto that with having forced scrolling via a spike wall, then get a double jump, some laser beams, spinning fire and mace chains. After that, you’ll earn a jetpack and have to get used to its physics versus those of the single and double-jump variants. 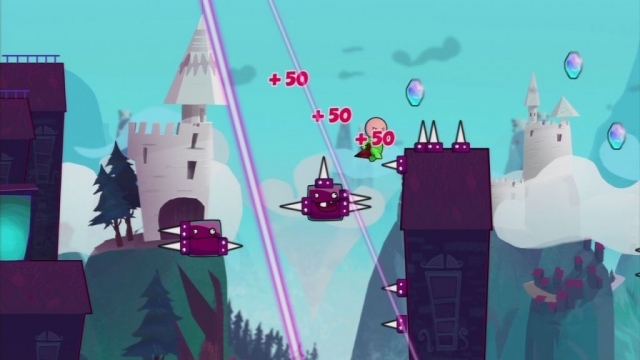 Other crazy variables include upside-down physics, jumping around in a box where you still have to navigate platforms with obstacles, but without the aid of forward momentum. Another wrinkle has Bob get shrunk down, giving him spring-like jumps, while another change straps you to a wheel making precision a challenge. Then there’s the Bouncy Bob where he’s put on a spring-mounted horse and an even crazier item is therocketbox – it’s basically like a DKC minecart with a rocket on its back, which gives you tons of that, but little time to react. Finally, there’s a setup that is almost like a side-scrolling shoot-em-up minus the shooting, where you have to get from point A to B without coming into contact with anything. This mode provides the greatest challenge outside of just having a ton of stuff thrown at you. Trial and error is a key to success, but things never get too frustrating. 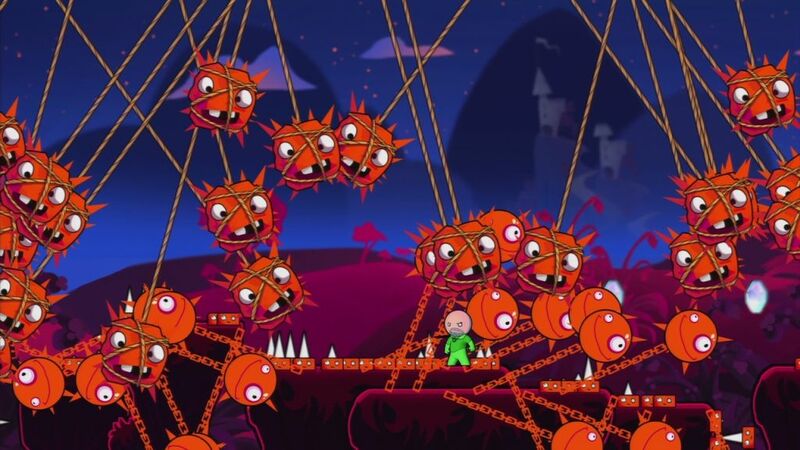 It’s very easy to rage quit a precision platformer, but with CK, I never felt like that was needed. If things got too tough, or I died either right before a checkpoint or the end doorway, I would just restart and try again. 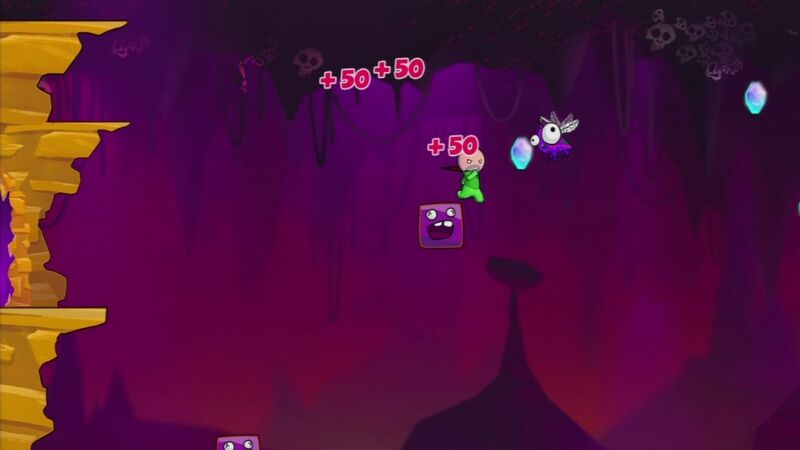 Death counts aren’t tracked on-screen, so you don’t have that feeling of inferiority when you die a ton to finally succeed and you can take as much time as you want in levels that don’t auto-scroll or have the time crunch on them. I found the time limit option is actually the most addictive mode available because it had the same appeal to me as something like Crazy Taxi. The pace is fast, the music is great, and you always feel like you’re up against insurmountable odds trying to reach your destination quickly to add just a sliver of time to your total. 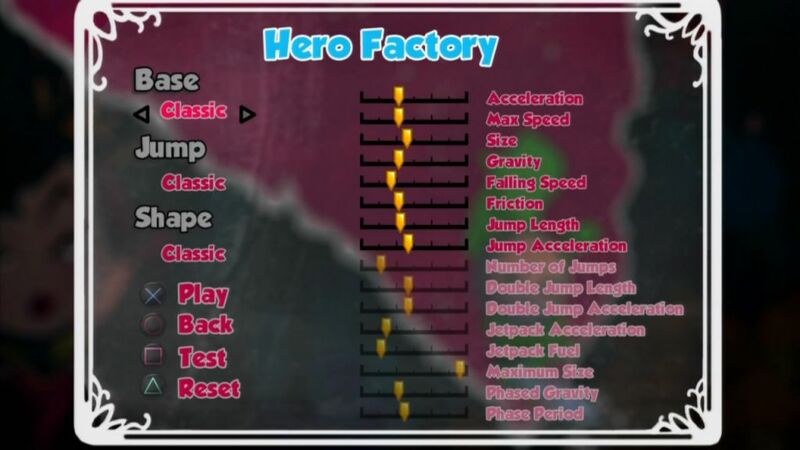 All of these modes would be a chore if the gameplay wasn’t solid, but the controls are just about perfect. Freeplay lets you change up your setting, what objects are in the world, how many there are, the physics and nearly everything you can think of. It’s as extensive a setup as you’re likely to see that doesn’t involve actually handcrafting the stages, and it manages to be both complex without being too complicated to figure out. 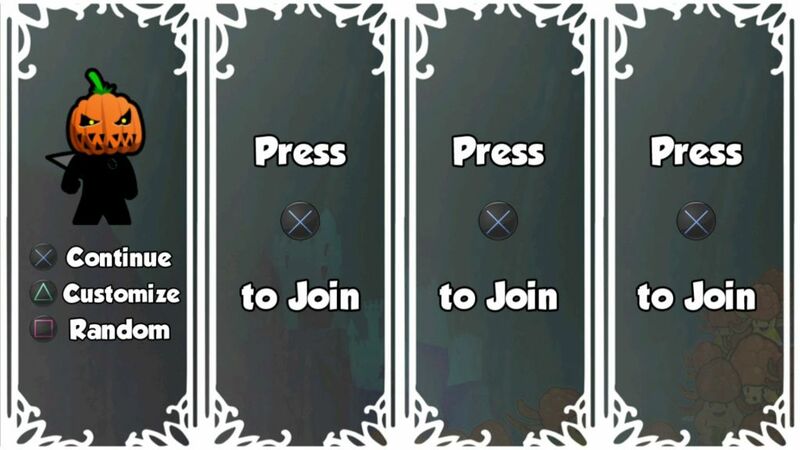 For your first few attempts, you’ll likely add in way too many things you didn’t intend, but after having a billion things thrown at you at once, you realize that you should simply avoid doing that ever again and move the sliders around until you figure out settings that work for you. 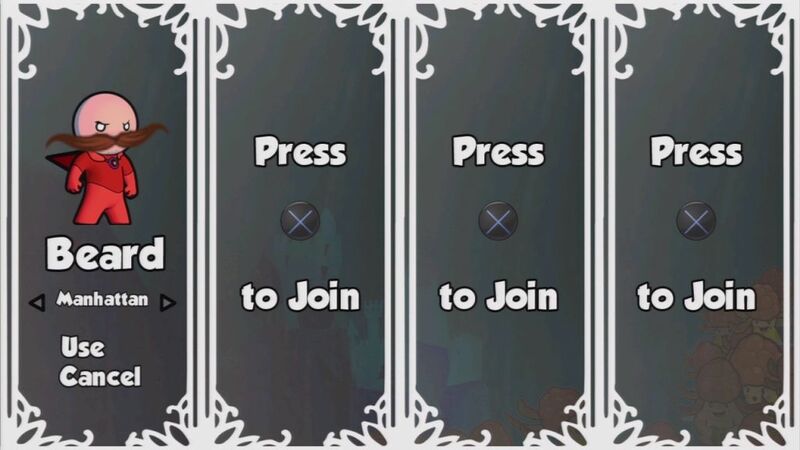 Unlike a Mario game, you don’t have a run button. Instead, you gain momentum as you move forward ala Sonic. 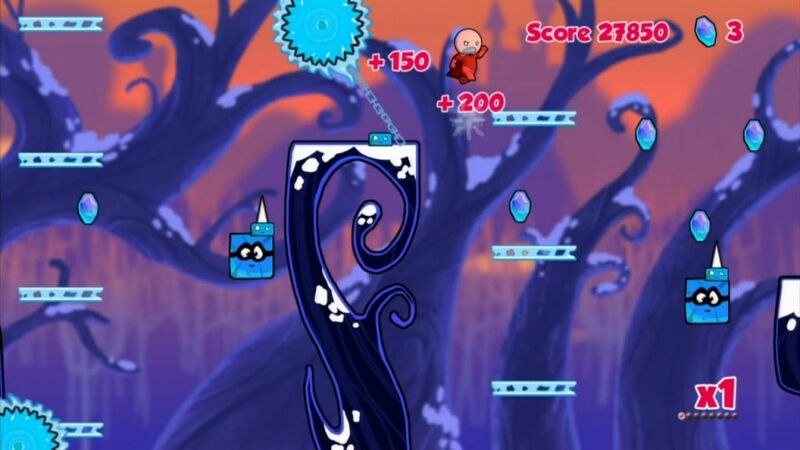 While you’ll never reach that level of speed, you can dart around fairly quickly. 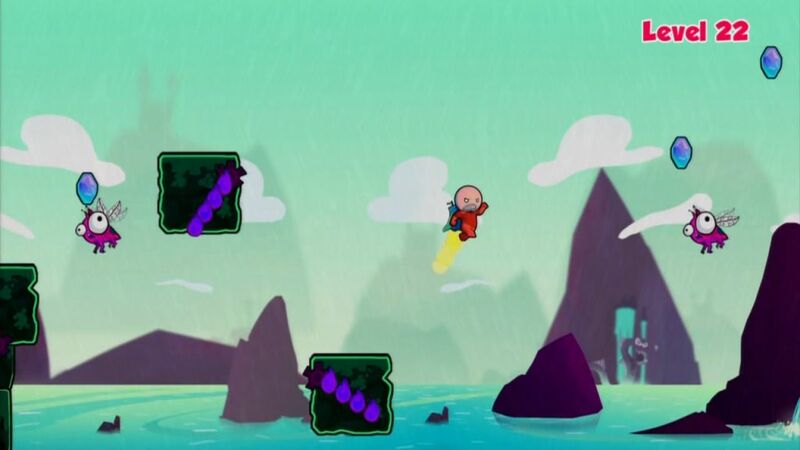 Bob’s jumps are naturally a tad floaty, but after a few stages, you’ll get used to it and then realize that for all of the stuff you can do here, that style works for the game. 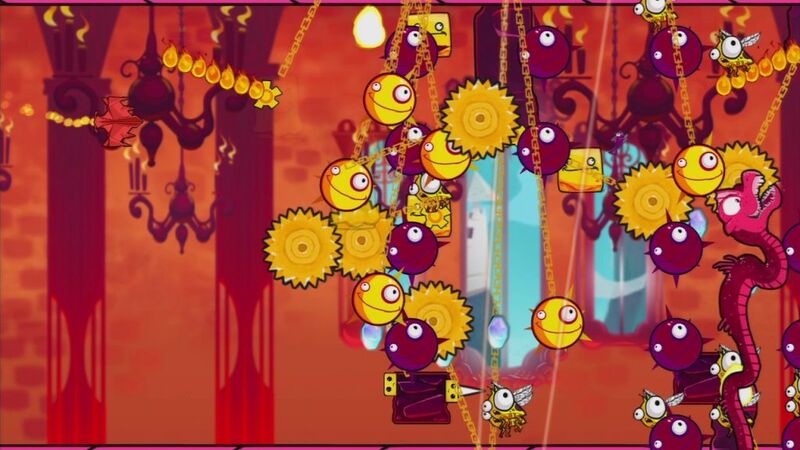 Visually, Cloudberry Kingdom is very bright and colorful. 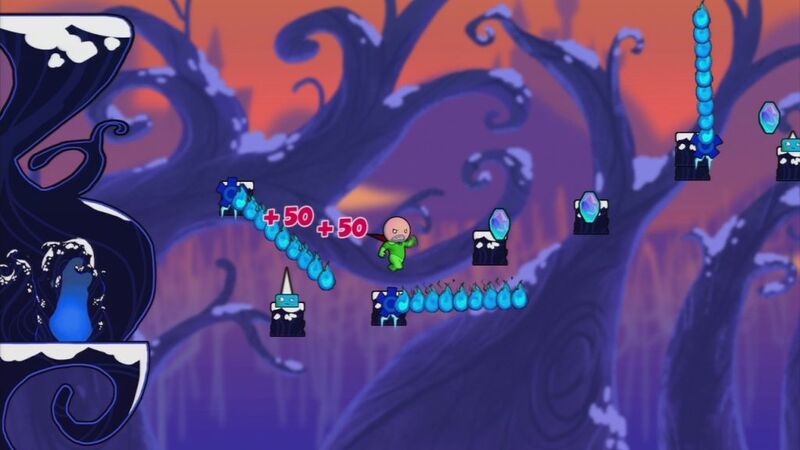 Each set of environments feels different, with ice levels gaining a lot by having regular foes encased in ice and slowed down a bit by it. 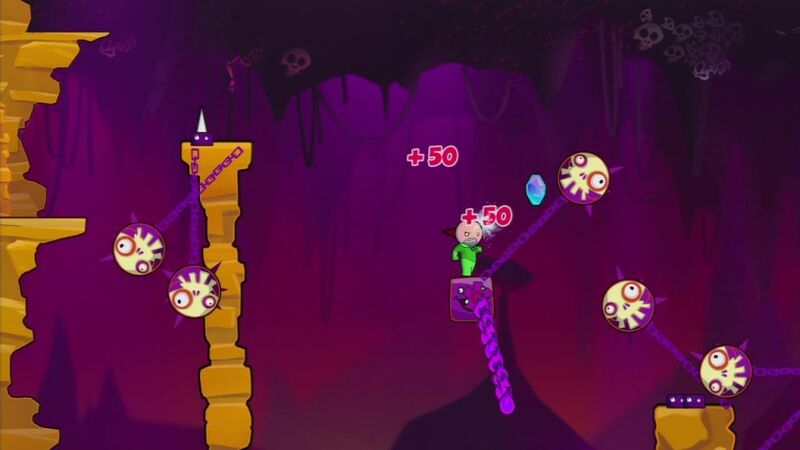 There are some other great little touches – like moving blocks having faces and showing a bit of pain when you’re on them. Movement animation is fine and the character design is delightfully insane. The default looks are odd, but get truly crazy when you customize them and wind up something resembling a rasta rabbi. CK’s soundtrack is quite a bit different from most platformers. It goes with lyrical music that you’d expect to hear in a club instead of a game. 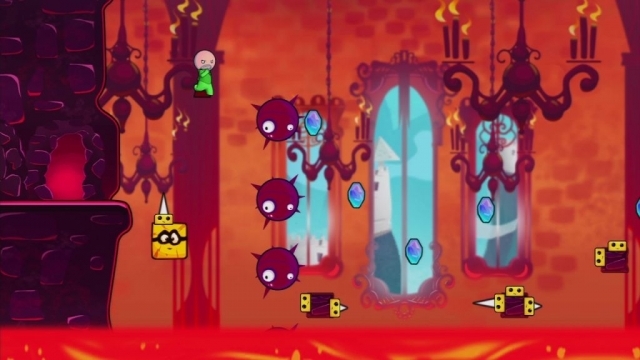 The second the game starts up, you’ll see a demo video showcasing some of the music and platforming hell, and it gives the game an upbeat vibe instantly. It’s the kind of music you’ll be humming during the game, after it, and wish you had on your mp3 player to listen to afterwards. Blind Digital’s dubstep/chiptune soundtrack is outstanding, while Peacemaker’s more relaxing songs manage to both have a funky beat and yet calm you down a bit. The only downside to the soundtrack is that there aren’t more songs – if you play for an hour, you’ll hear the same songs numerous times. Since it’s good music, it isn’t all that big a problem though. 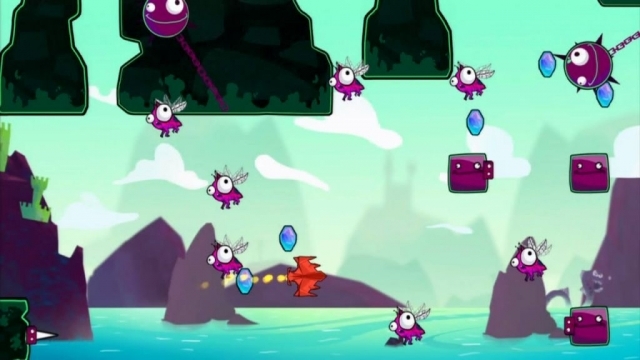 Cloudberry Kingdom may initially petrify those who aren’t good at precision platformers. 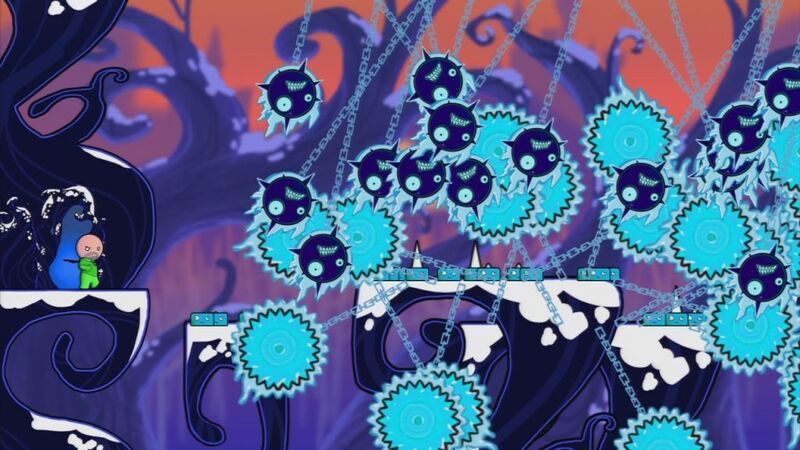 Like bullet hell shooters, they’re daunting. However, playing the XBLA demo of this (sadly, the only version of it with a demo) should give you an idea of how things work and show you that it’s not as tough as many games in the genre. 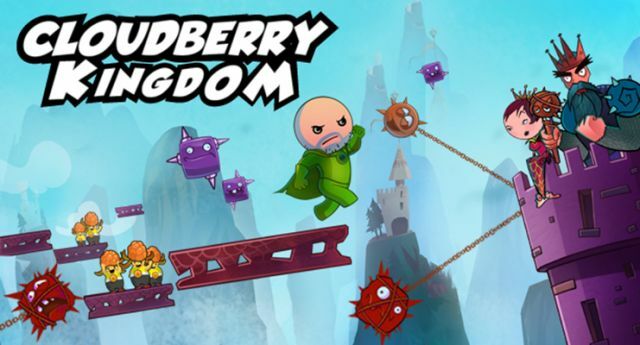 Cloudberry Kingdom sets out to torture you only when you want it to – otherwise, it just makes you learn and it makes doing so fairly easy and as painless as possible for a platformer. Everything in the game has a high level of polish and/or insanity to it, so if you dig platformers, you’ll definitely get your money’s worth out of it at only $10. 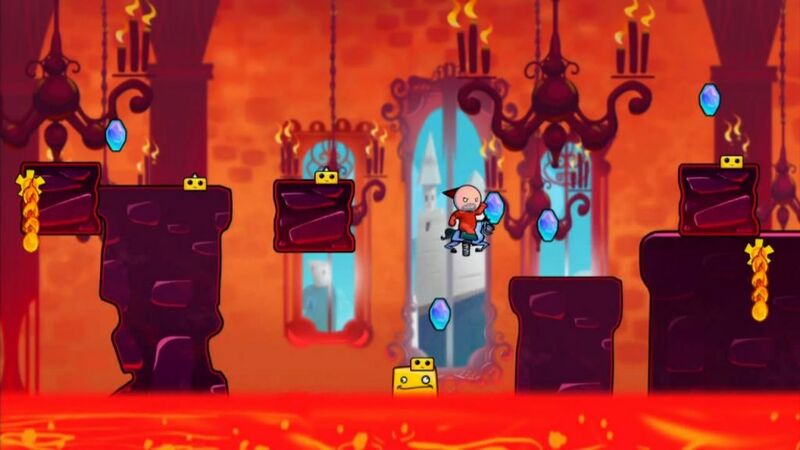 This review is based on a digital copy of Cloudberry Kingdom for the PlayStation Network provided by Ubisoft.